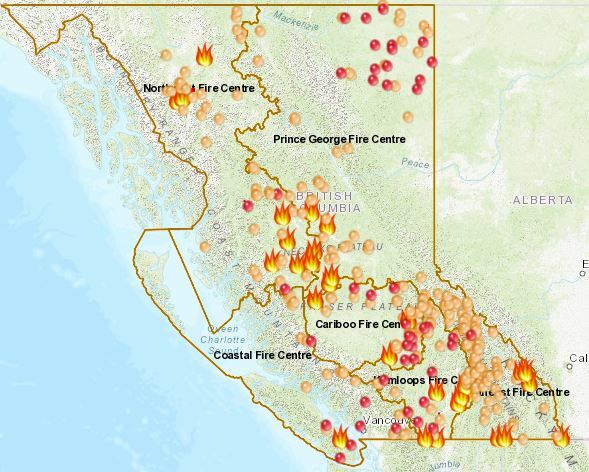 CAMPBELL RIVER, B.C- As fires burn across the province, the city is offering some tips on how to protect your home from wildfire. 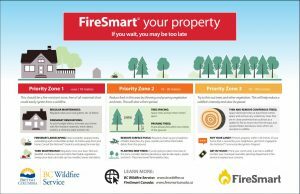 According to a release from the city, FireSmart standards can reduce the risks of your home being damaged in the event of a spreading flames. 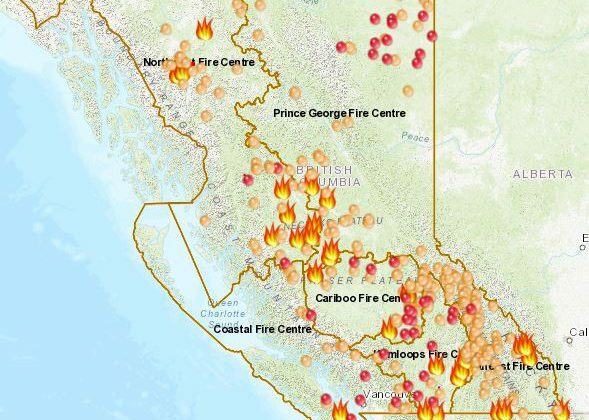 “Wildfires often start as small, accidental ignitions, and if you live in or near a forested region of British Columbia, you should expect to have to contend with the spread of wildfire sooner or later,” says fire chief Thomas Doherty. “Preventive measures and fuel management offer the best protection. Before planning or initiating fuel management activities around buildings or facilities, establish three concentric priority zones around each building. Unique vegetation management activities are recommended for each priority zone. Building materials and design standards also help reduce fire damage. Roof The most fire resistant roofing materials are metal, clay tile and asphalt shingles. Untreated wooden shakes and shingles are ideal fuels for a roaring wildfire. Keep roof areas free of combustible debris and ensure that no overhanging trees or vegetation provide fuel for airborne sparks and embers. Exterior walls Materials such as stucco, metal, brick, cement board and concrete offer superior fire resistance to wildfire. Logs and heavy timbers are a little less effective, while wood and vinyl siding offer very little protection. Eaves and vents Ready-made openings on attics and crawl spaces can allow heat and embers to enter a building and ignite it. Ensure eaves are closed in and screen all vents including soffits. Keep areas under decks and porches clear of debris and sheath in the underside of balconies and decks with flame resistant materials.